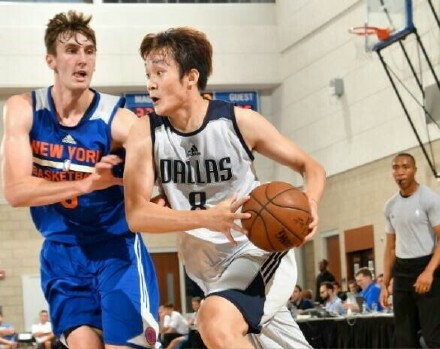 So that means Ding Yan Yuhang will either appear in the Orlando Summer League (July 1 ~ 6) or the Las Vegas Summer League (July 7 ~ 17), OR BOTH as Dallas Mavericks are scheduled to attend both leagues. Houston Rockets will only take part in the Las Vegas Summer League. 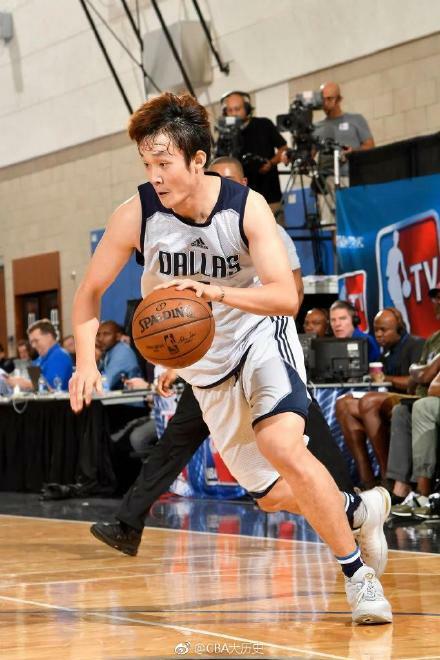 It was reported today on various Chinese sports sites/newspapers that Ding Yan Yuhang will represent Dallas Mavericks to play in BOTH the Orlando and Las Vegas portion of the Summer League !!! Ding guy is the new Yao Ming. He easily trounces YM. YOU FVCKING CLUELESS IDIOTIC PERVERT CANTO FENQING 变态笨七粪青 ONCE AGAIN pulling ******* out from your @$$ !!! At about the SAME age, Yao Ming had ALREADY DOMINATED CBA, won the championship, became the FIRST EVER #1 PICK of international player of NBA and had aleady secured a permanent starter position in Houston Rockets in NBA !!! 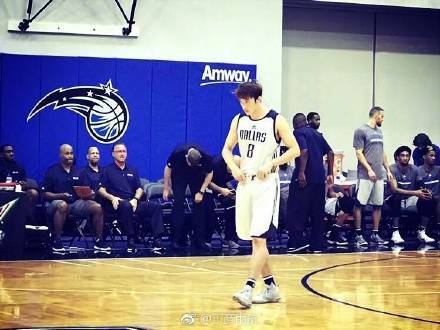 Ding Yan Yuhang had yet to prove he is in NBA to stay !!! 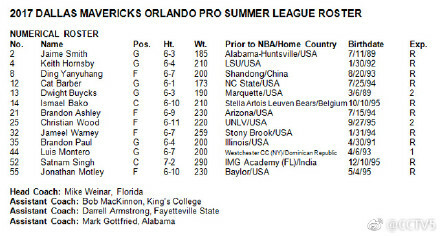 Dallas Mavericks announced the roster of the team for the Orlando Summer League. #8 jersey for Ding Yan Yuhang !!! And looks like Li Muhao will also play in the Summer League (the Las Vegas one) for Philadelphia 76ers !!! 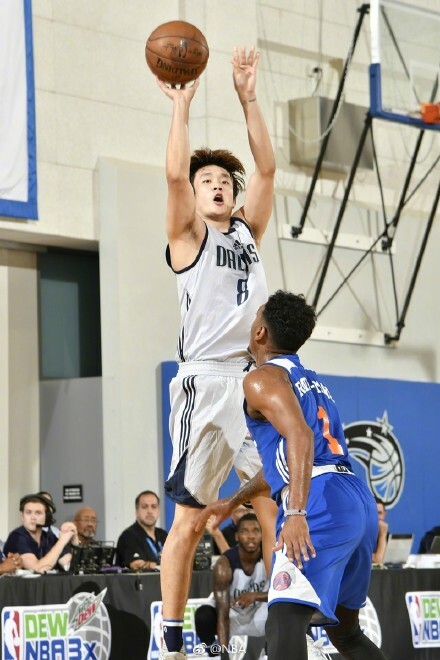 First game of the summer league, and Ding scored 8 points on 4/11 shooting in 18 minutes of play. The Mavs beat the Knicks 80 to 75. Looks very aggressive out there, I think he has a very good chance to make the team if he keeps this up. YEAH all 8-points scored from dribbling/penetrating into the lane down into the post !!! Even though Ding Yan Yuhang got to start and scored 8 points (4/11 FG% 0/2 3-pointer%) in 19 minutes of action, alot of his weakness got exposed. He did okay offensively, even though he was asked to play in position 4, which was not within his comfort zone. But defensively, he is still deemed not physically strong enough and quite alot of his bad habits in CBA got him caught in foul troubles. He had 4 personal fouls by half time, and 2 more in 3Q. Luckily there was no foul limit set for Summer League, i.e. he did not get fouled out, and still got play minutes in 4Q. And because he was not physically strong enough and had to play as power forward, he was not able to grab too many rebounds. Even though he played tirelessly hard on defense, he just got 1 rebound and 1 block shot in 19 minutes of play, but he got at least 2 to 3 of his shots blocked, and he missed all his 3-pointer attempts.